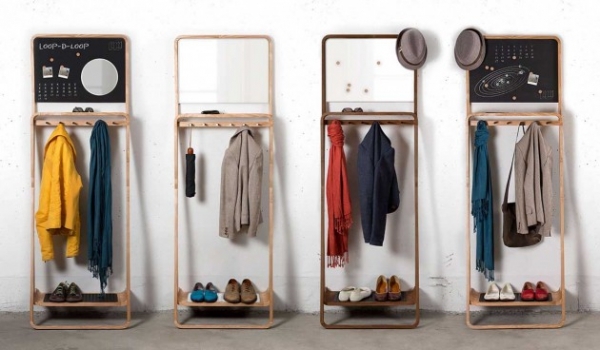 So maybe a shoe rack just isn’t enough to fully organize your foyer area as you come and go on a regular basis, not to mention when it’s that time of year to have guests. You’re finding that your small closet that has long been assigned as the place to hang coats is just accumulating more junk than you previously prepared for. 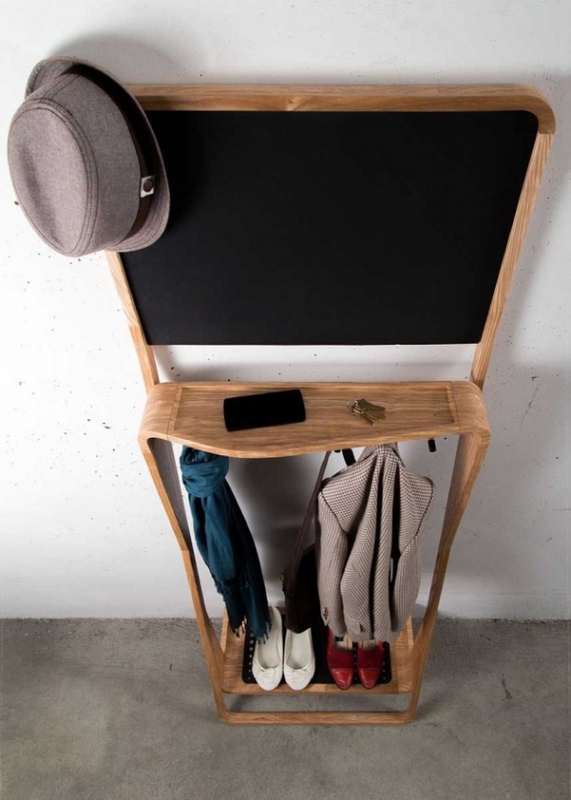 Thanks to Urbanworm Design, there is a multi-purpose organizer in existence that will help resolve all your clutter worries. 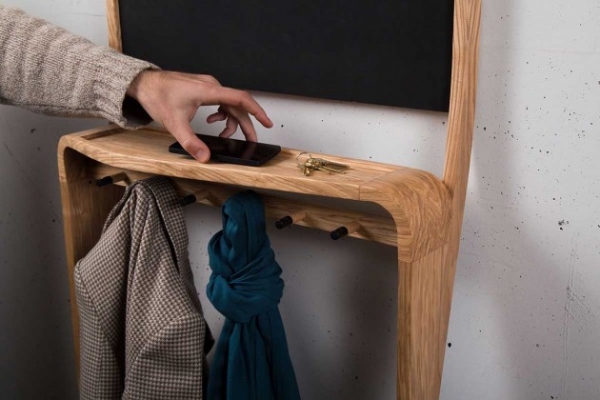 Cunningly called The Leaning Loop, this multi-purpose organizer was created by Jason van der Burg of Urbanworm. 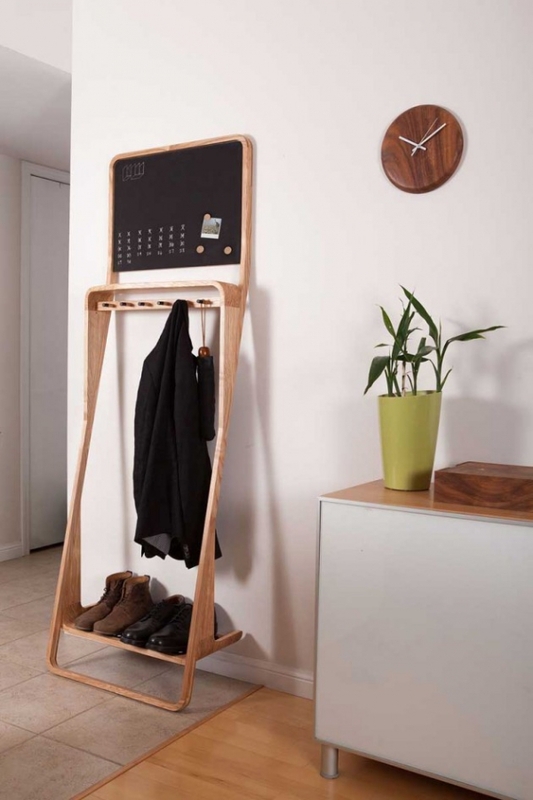 Inspired by his own personal account of studio apartment woes, he decided to customize his own organizer after he searched high and low for one with no luck. 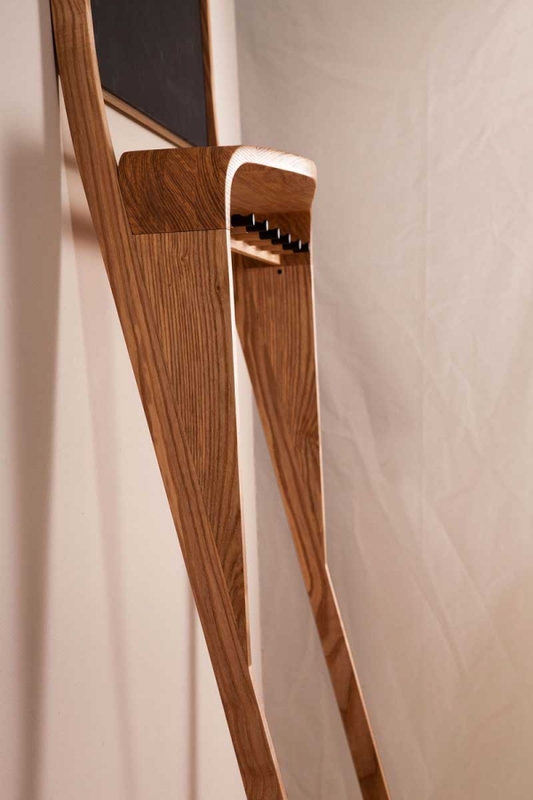 After a few prototypes, he was able to perfect the creation you see here today. 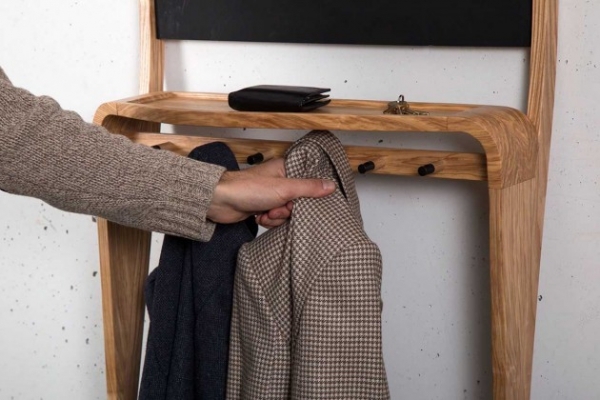 Made entirely of hardwood, this organizer was designed to not need much help with standing alone as it conveniently leans against any wall that you need it most. 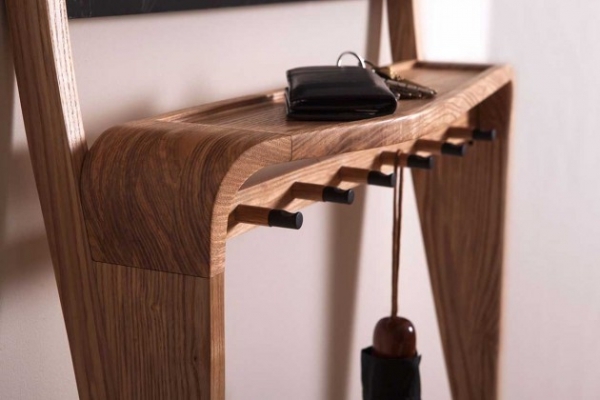 Its innovative design allows it to be quite versatile and virtually every room in the house. 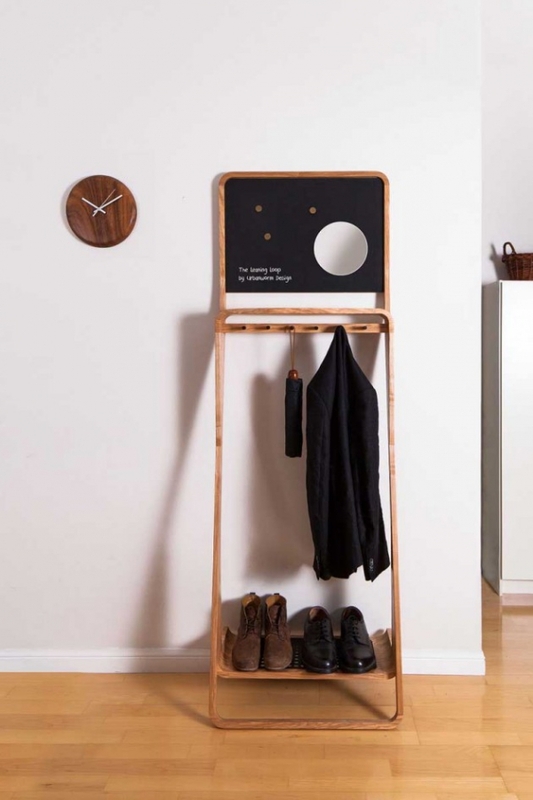 Not only can you use it in your foyer to hand a few coats, hats and shoes, but you can also use it to hang keys, a mirror and other clothing needs. 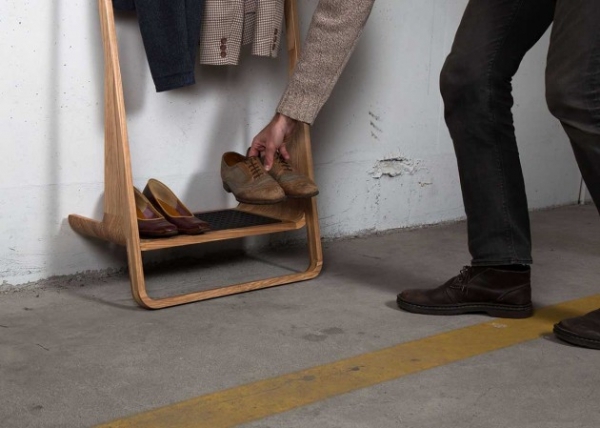 If you’re considering moving to a new place, whether a studio apartment or otherwise, you may want to add this to your list of must-have furniture!